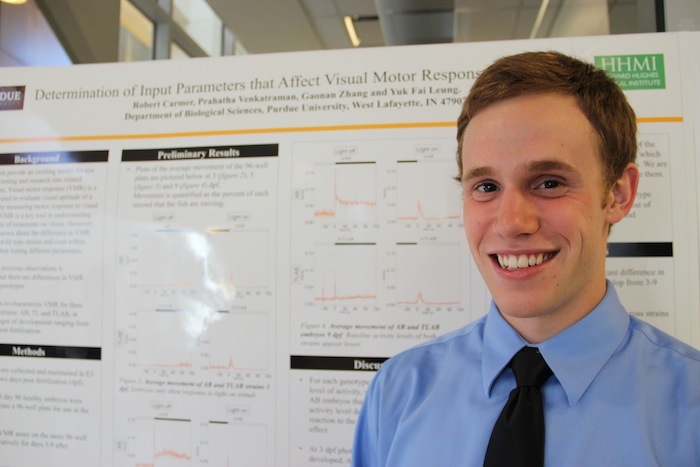 Robert Carmer, an HHMI Summer Undergrate Student, was featured in the press releases of the College of Science and Department of Biological Sciences. Also see him describing his research experience in this video. This entry was posted by Yuk Fai Leung on July 2, 2013 at 12:17 AM under education, Fai's sharing, lab research. Tagged HHMI, leung lab, purdue university, research, statistics, undergraduate student, zebrafish. You can leave a response, or trackback from your own site. Follow any responses to this entry through the RSS 2.0 feed.